This post was sponsored by Basic Invite. All opinions are mine alone. 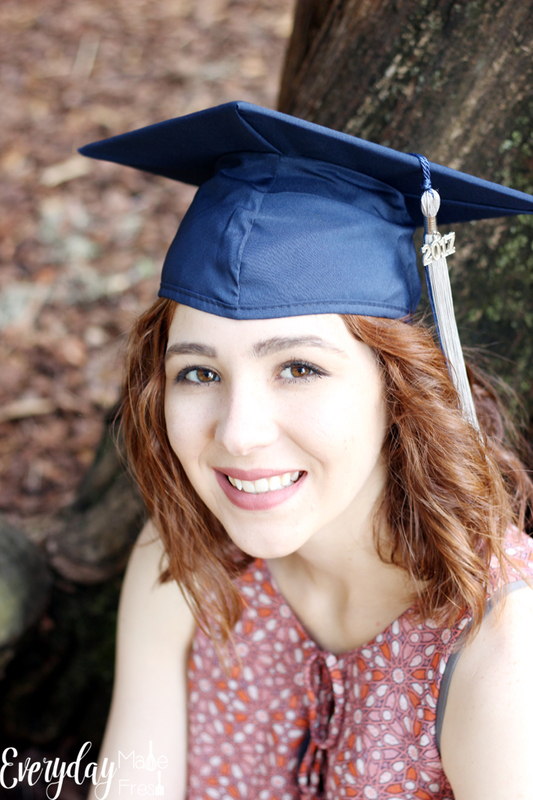 Creating the Perfect Graduation Announcement is as simple as 1-2-3! If you are anywhere on social media lately, not only are prom pictures showing up everywhere, so are those once in a lifetime high school senior photos. I follow several photographers on Instagram, so my feed has been full of all the upcoming graduates. In my Facebook memories over the weekend, Kayla’s senior photos popped up, and triggered all sorts of tears. Last year she graduated high school, and this year she’ll graduate Navy boot camp! We’ve had a whirlwind of a year. Anyway. With all the graduation photos coming up, it has me thinking about graduation announcements, invitations, etc. There are so many choices available to order from, including from your child’s high school. Of course nothing can ever compare to ordering a couple of those straight from the high school. Those are, after all, unusual, usually with mascots or even the high school itself is on the front. However, they can be crazy expensive, and to be honest are more of a keepsake, in my opinion. Especially when you consider their price. 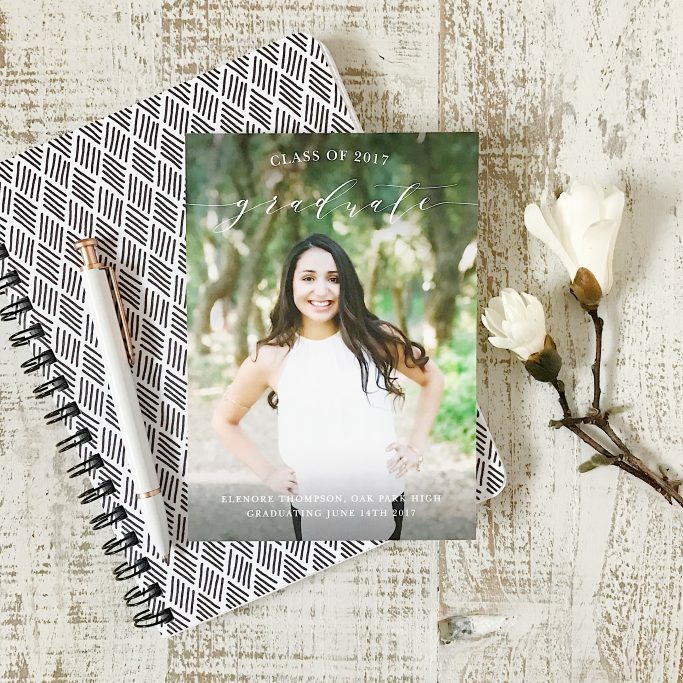 Had I known about how easy it was to create personalized simple graduation announcements with senior photos from Basic Invite, I would have totally went that route! I really like the simple ones, like above, where Kayla’s photo would be front and center. 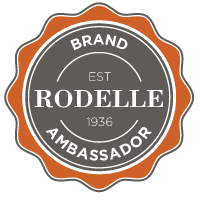 It’s a special way to make the announcement personal, and since you have control of what the type says, and their colors, you can personalize this to your liking. The one above is a 5X7 which is perfect for framing. A perfect keepsake for family members. There are so many styles to choose from between, collages, single portraits, colors (over 180 color choices), fonts, verbiage, the possibilities are endless with your creations. You can view it all instantly as you go along, so you can see exactly what you are getting. You’ve likely spent all that money on those graduation photos in many different poses, so why not share a few of those on these great announcements. If I had to do it all over again for Kayla I totally would! I of course, have to toss this idea in here, since Kelsie is homeschooled; these are perfect for that as well! She will be a senior in 5 years. <— I didn’t realize how soon it was, yikes! I am definitely going to order this type of an announcement. 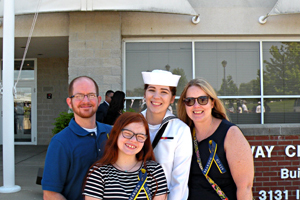 And going a step further than that, like I mentioned above Kayla graduates boot camp soon, and believe it or not, boot camp graduation is a huge deal among military parents. Something like this would be so perfect for sharing that special moment. I’m thinking about ordering a few to send out with her in uniform. Of course after the graduation, your senior is likely to have received gifts etc., and you may want them to send out thank you cards. Thanks to Basic Invite you can create personalized graduation thank you cards. 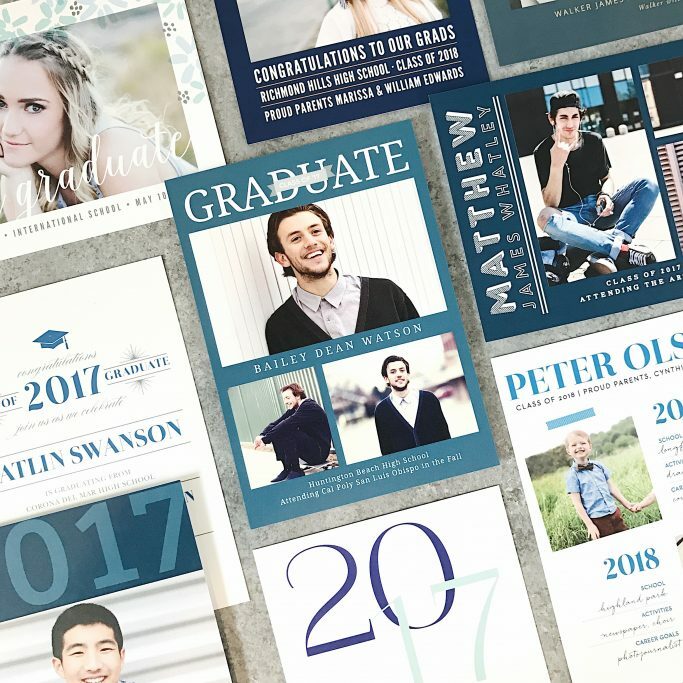 From cards with photos to cards with just words, these are great for not only graduation, but so many occasions where a thank you card is needed. 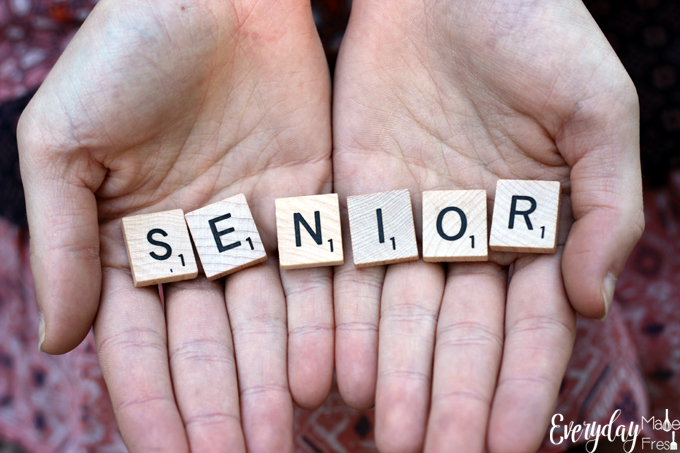 Have a senior? Well, you have plenty of time right now before graduation to order custom samples, to find the one that you like the best! I love these announcements! I’ll keep Basic Invite in mind when my son graduates. I’ve used them before and they are so easy! I love the first card is so cute and on trend! Choosing a graduation card is going to be like choosing my Christmas card. It’s going to give me a headache and I have to do it three years in a row. At least I have a few years until that happens. Oh goodness, yes! It is like picking out a Christmas card. So many styles to choose from! What a fun announcement. I know my graduations announcements were just standard invitations, this definitely would have made it much more personal. Same with Kayla’s. I totally wished I would have had these! Aww, that is such a nice idea, my mom went all out for our graduation and made it really special it is such an important and memorable time. Cute idea’s. when I graduated I did photo keyrings with my picture on them, the date and degree. That’s a really great idea for a keepsake! thank you for sharing all these lovely options! My grandson will be graduating in a couple of years and his mom and I have been looking at places to buy his graduation announcement. I’m going to have to send her your link to add to her list so she can create the perfect one. Thanks Terri! I played around with creating one, and I loved how simple it was. I liked the layout you picked, with the photo on the center. They have some cool options to choose from. I was about type the first picture was cute, but seeing your whole post is cute, when i graduated we never thought about all those things, but thts cute to personalize and create memories around it, that’s simply great. Thanks for sharing, will think about it for my daughter. She would love doing it..! Oh wow! This is definitely a fun idea. What a great surprise. I think I can do this for my birthday instead of graduation since I am planning on throwing a lavender field boho party. I think it’s a great idea! Since everything is customizable, you could totally do that. Graduation packages in general can be very expensive. Any time we can save some money with different alternative is fantastic. Gonna check out Basic Invite. You are correct! Those packages sold through the school are so $$! What a cute idea. I think I would have liked to do this when I graduated as well. It’s a bit late now. But it’s not too late to share this with my friends who are still in college. Oh these are all lovely ideas! I wish I would have thought of it when I was graduating! I guess I can do it for my kid! I love these. I remember making my graduation announcement and party invites. Brings back memories. These are such great ideas! My son graduates this year, so I’ll be sure to use them. Those things look so fun. Thankfully I don’t have to worry about that for a while. Sort of anyway. She’s graduating sixth grade and going into junior high. I do love the scrabble letter announcement.